It's hard to imagine a kitchen void of vanilla. Its full, rich, universally popular taste and enticing aroma is irreplaceable in cookies, cakes, custards, ice creams-- almost every conceivable sweet-- and a few savory dishes, too. To use the bean, slice it lengthwise to expose the seeds (which contain most of the fragrance and flavor). Some recipes suggest scraping out the seeds, others direct you to use the whole slit pod. You can also grind the seed for use. To substitute whole beans for vanilla extract, use about one inch of the bean for each teaspoon of the extract. Native to Mexico, today's main varieties come from Mexico, Madagascar, Reunion Island (Vanilla planifolia) and Tahiti (Vanilla tahitensis). Bourbon beans are from Madagascar. Universally popular in desserts--cakes, cookies, puddings, candy, ice cream-- vanilla also adds rich flavor and aroma to many beverages (mulled cider, coffee, tea, lemonade, hot chocolate, warm milk). Try it in sauces, souffles, and in shellfish, chicken, veal and dairy dishes. By the way...You can use a vanilla bean more than once. Simply rinse and dry it between uses. But don't store your vanilla beans in the refrigerator, because they may mold there; place it in a dry spot. A tasty option is to place your vanilla bean in a small container of sugar. 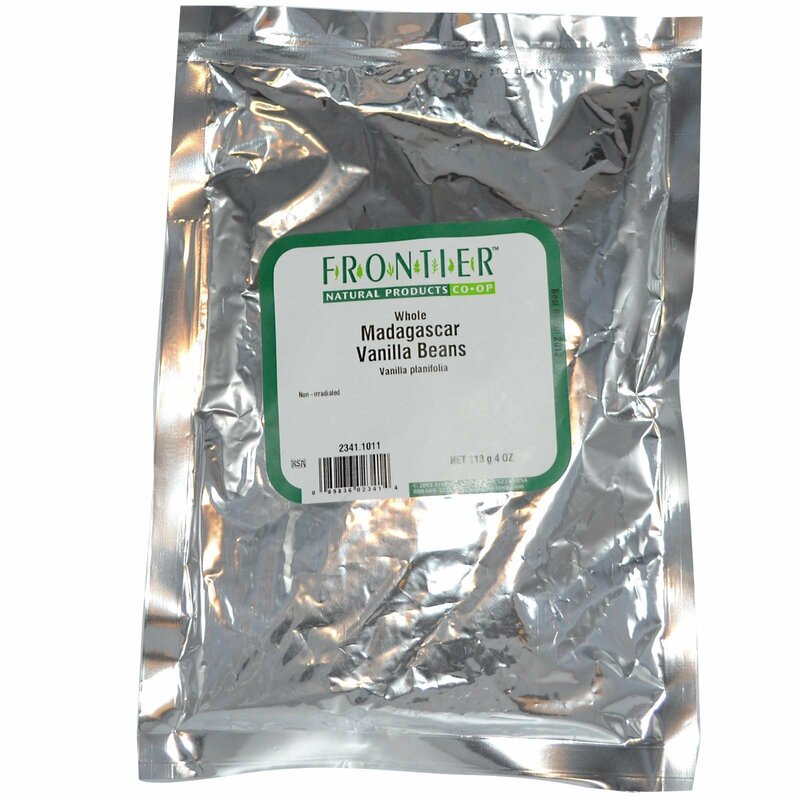 The vanilla bean will lend its flavor and aroma to the sugar.